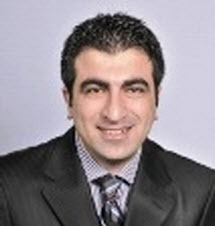 Dr. Alper Murat, Ph.D., received his B.S. in Mechanical Engineering and M.S. in Industrial Engineering degrees both from Bogazici University/Turkey in 1998 and 2000. He completed his Ph.D. degree in Management Science/Operations Research from the McGill University/Canada in 2006. His research interests include application of optimization modeling and simulation techniques and data mining in the fields of supply chain management, logistics and transportation, product development, quality, reliability and healthcare. He has worked with Ford Motor Company, General Dynamics, Henry Ford Health Care Systems and Veterans Engineering Resource Center (VERC) on various applications of operations research and simulation tools and techniques. He is the principal investigator of research projects funded by VA, VAVERC VISN-11, US Department of Transportation, Department of Homeland Security, General Dynamics, and Ford Motor Company. He has authored numerous peer-reviewed journal articles which appeared in such journals as Transportation Research Part E: Logistics and Transportation, European Journal of Operations Research, Computers and Operations Research, Int. Journal of Production Economics, and Information Sciences. 8/2010-present : Associate Chair UG, Dept. Industrial & Systems Eng.,. Wayne State U. 9/2006-present : Assistant Prof., Dept. Industrial & Systems Eng.,. Wayne State U. 9/2009-present : Research Professor, John D. Dingell VA Medical Center, Detroit. 8/2005-8/2006 : Instructor (Research), Dept. Industrial & Systems Eng,. Wayne State U. 9/2003-8/2005 : Instructor, Desautels Fac. of Mgmt., McGill University, Montreal, Canada. 9/2000-8/2005: : Res. Assist., Desautels Fac. of Mgmt., McGill University, Montreal, Canada. Operations and Supply Chain Management: Logistics and Distribution; Supply Chain Network Design; Dynamic Management of Logistics and Distribution Operations; Intermodal Transportation; Horizontal Collaboration in Logistics; Supply Chain Disruptions and Response Management; Assortment Planning for Automotive Supply Chains; Dynamic Capacity Planning with Life Cycle Considerations. Healthcare Systems Engineering: Patient Flow and Supply Logistics in Healthcare Facilities; Predictive Analytics for Healthcare Systems; Dynamic Management of Supply and Demand; Planning and Management of Surgery; Intervention and Prevention Resource Allocation and Management. Product Development and Logistics Interface: Product Design Optimization and Sustainable Logistics; Design Optimization for Reliability and Sustainment. Excludes pending and under-review grants. All $ amounts are external funds (i.e., excludes cost sharing and matching) and excludes any in-kind, equipment, or software. Functional Modeling of Emergency Operation Plans for Disaster Response- City of Detroit, Researcher for $9,000 (my share), (P.I. Batteau), 2006. (NSF Award # 0428216). Value of ITS Information for Congestion Avoidance in Intermodal Transportation Systems, P.I. for a project funded by U.S. DoT through UT-UTC for $207,041, 2007-2011. Enabling Congestion Avoidance and Reduction in the Michigan-Ohio Transportation Network to Improve Supply Chain Efficiency: Freight ATIS, Co-P.I. (at 50%), U.S. DoT & M-DOT through MI-OH UTC for $414,012, (P.I. Chinnam), 2006-2011. Evaluation of Ohio-Michigan Regional Airports for Air Cargo Transportation: Freight Forwarders Perspective, P.I., U.S. DoT through UT-UTC for $29,838, 2010-2011. Enhancing JIT Freight Logistics Impacted by Transportation System Projects under ITS, Co-P.I. (at 50%), U.S. DoT through MI-OH UTC for $40,000, (P.I. Chinnam), 2010-2011. A Framework for Operational Improvement in Border Security Command, Control and Communication (C3) and Operational Analysis, P.I. for a project funded through NCBSI DHS Center of Excellence for $46,675, 2008-2009. Near Real-time Decision Support Systems for Reusable Medical Equipment, P.I. for a project with VA-CASE (VISN 11 VERC) for $291,053, 2011-2013. Scheduling and Near Real-time Management of Operating Room Resources, P.I. for a project with VA-CASE (VISN 11 VERC) for $46,095, 2011. Modeling and Operational Simulation of Operating Rooms, P.I. (at 100%) for a project with VA-CASE (VISN 11 VERC) for $26,125, 2010-2011. Discharge Process Improvement and ER Simulation Modeling and Analysis, P.I., VA System Redesign and Improvement (VA SR&I) Detroit VAMC for $52,068, 2010-2011. Call Center Configuration Analysis & Selection Model, Co-P.I. (at 22%) project with VA-CASE (VISN 11 VERC) for $50,000, (P.I. Dr. Chinnam), 2010. Study and Optimization of the Claims Processing to Improve Production Performance. P.I. for a project funded by Blue Cross Blue Shield of Michigan for $100,000, 2012-2013. Novel Algorithms for Multi-Criteria System Design Optimization, P.I., $30,000, 2012-2013. Abrams AED Whole System Design-for-Reliability (DFR), P.I., $413,800, 2009-2012. FCS Rooftop Deconfliction: Optimization Analysis, P.I., $48,000, 2009-2011. Reliability, Availability and Maintainability (RAM) Injection into Advanced Collaborative System Optimization Modeler (ACSOM), P.I., $91,400, 2008-2012. Models for Identification and Management of Bottlenecks in Production Facilities, Co-P.I. (at 25%) AMTD Ford Motor Company, $52,000, (P.I. Chinnam), 2006. Integrated Plant Design Modeling and Optimization For Waste Treatment Facilities, P.I., DCI and NexGen, $36,000, 2012-2013.